Much has already been written about the mushrooming of the literature festival industry; I could, in a similar vein, easily reel off statistics on their proliferation in India and the exponential footfalls that each one of them claims to have achieved. But when I see crowds at sessions at literature festivals, my mind reacts in a varied and wary manner. Who are these people? What are they seeking to imbibe from sessions by authors? How many books would they have read, or would they have read any at all,and if not, will they go back from this festival transformed and thus inducted into the reader species? Are they there simply to be seen since it’s the latest trend? Are these festivals pivoted on books that have been written, or just on ideas being creatively expressed, or ideally a mixture of both? What literature festivals truly achieve is a debate that goes on ad infinitum. On the face of it, they achieve a lot. They enhance the sales of books, generate business for the city they are based in and book deals for some fortunate aspiring writers, and hopefully give birth to a new tribe of readers. However, there will always be authors who don’t find “the” place of honour to speak at festivals, and a critique of how richly representative a particular festival is of the languages of its region. That festivals generate a tribe of literary shoppers is most certain — I’ve come across people shopping for pashminas and emerald tumbles while flitting in and out of sessions. Admittedly, I’ve stood at the counter of a very famous bakery buying biscuits and asking a lady next to me for directions to a sari shop, when I was in a particular city to speak at a festival. The highlight of that festival for me was the paithini saris I gleefully splurged on and then trudged onwards to do my duties as a speaker. For many, it is now just another thing to cross off their bucket lists. I must confess that I am a part of a WhatsApp group of self-proclaimed “festival junkies”. Sometimes I fear that soon there’ll be a line of awards for the best literary festival, with categories like “most crowded”, “most chaotic”, content-less, content-heavy, and so on. We already have articles that talk of the “ten best festivals to attend in India”. To enhance the festival experience, there are articles that list out recommendations for where to shop and where to eat while you are at a particular lit fest. Not bad at all! This has led to literary tourism taking off as a chosen style of travel. Hotels are booked a year ahead by festival travellers and bespoke travel aimed at literary festivals is very much the trend today. This year, at the Jaipur Literature Festival, there were focused groups from Australia as a part of a literary tour plan. Next year, the Kiwis are arriving — (psst, festival grapevine). 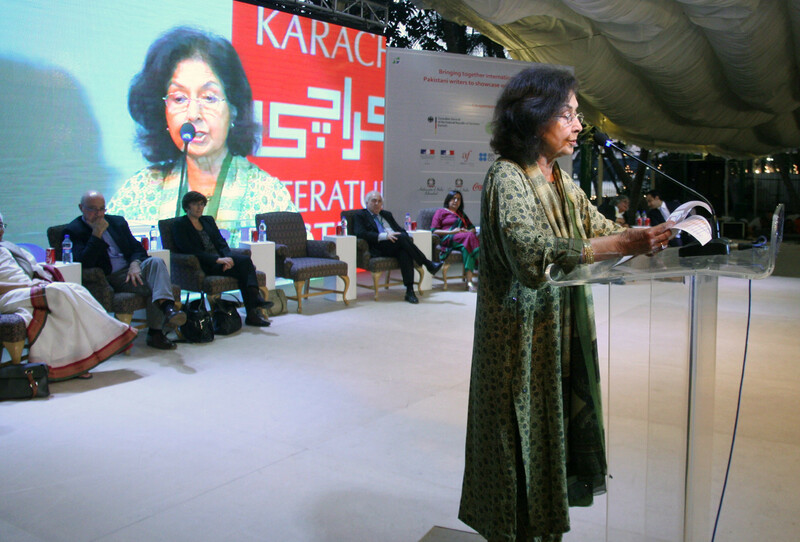 Any literature festival is not too far removed from the socio-political and cultural climate of its region and the nation. The current trends of the publishing industry also influence some of the content. We’ve seen sweeping successes with popular commercial fiction, political non-fiction ranging from the latest elections to terror strikes, insurgency issues, and the undervalued north-eastern region in India, to global warming, climate change, environmental concerns, and most significantly, the focus on gender issues, human trafficking, war reportage, conflict and disaster related literature. These are some of the sessions that have generated thoughts, ideas and debates. At a festival recently, some of us agents and publishers were asked to listen to authors pitching their proposals within a set time limit. The more creatively done, the more saleable you are — it worked well, but when you examine the implications, it does lead to the commodification of a book as a product. The economics that comes as a package deal with every festival cannot be ignored. Its not just aspiring authors trying to meet publishers/agents — I’ve been noticing an increasing number of self-published authors distributing free copies as a direct marketing initiative. I’m not going to dwell on how positive or negative the impact of such a tactic is, but wish to point out that such steps are being taken. The bottomline remains — if the writing is strong and has done justice to the genre, it will find a way to stay on the book shelf. The book has been packaged as a product and festivals promote this line of thinking. It’s for us to discern and be wise.